Product Consists : Adidas Team Force Deodrant (Weight : 150 ml), Adidas Team Force Perfume (Weight : 100 ml), Adidas 3 In 1 Hydra Sport For Dry Skin Moisturise + Complex Shower Gel, Shampoo, Face Wash (Weight : 250 ml) altogether arranged in a Bag. 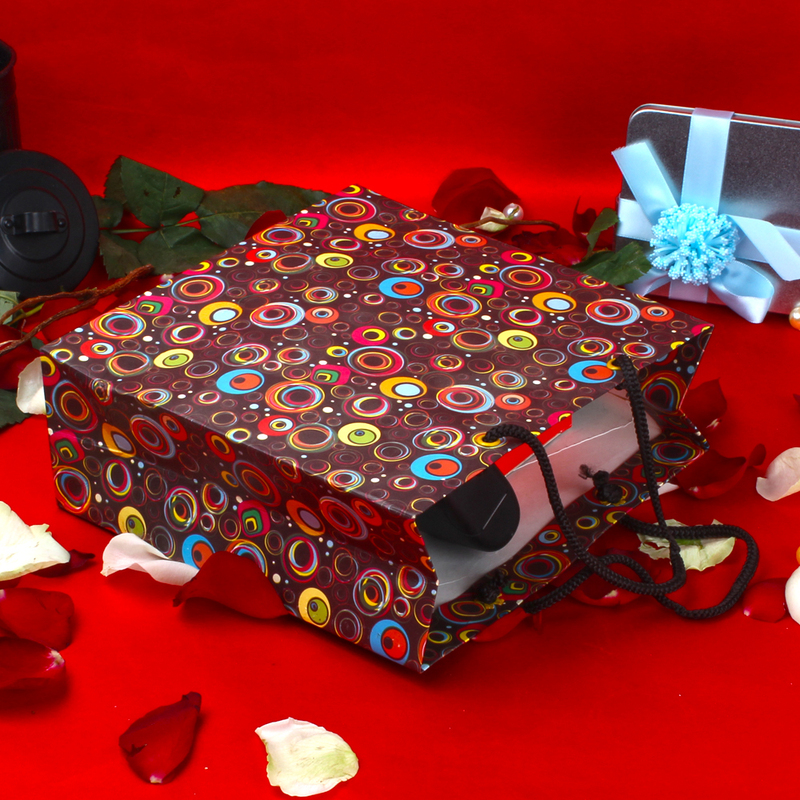 Make Him feel elated in any special occasion with this fabulous gift items. It is a Perfect complete Mens gifting set.This gift item is bound to bag appreciation of the receiver. 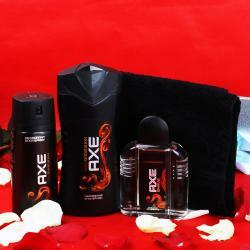 This gift is very usable for mens at any time also they get ready easily for a last moment party. 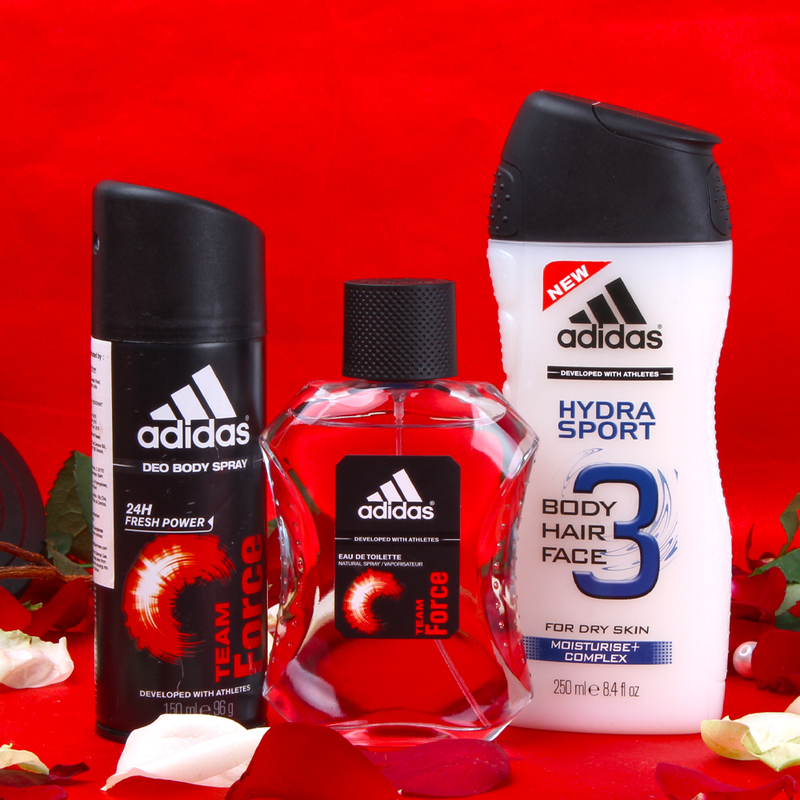 This gift combo includes : Adidas Team Force Deodorant (Weight : 150 ml) + Adidas Team Force Perfume (Weigh : 100 ml ) This is a warm and masculine fragrance that is both fresh and youthful. Practical for everyday wear, spray it lavishly for all day freshness. Adidas 3 In 1 Hydra Sport For Dry Skin Moisturise + Complex Shower Gel, Shampoo, Face Wash (Weight : 250 ml) altogether arranged in a Bag.